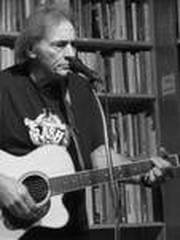 local band "Roadstars", Steve possesses strong guitar and vocal and songwriting skills. He has written a number of poignant and beautiful ballads that proudly appear on the "Roadstars" CD. Joining Steve will be Aaron Murray on guitar, and maybe some other surprise musical guests.